Being organized in the field of business is a vital characteristic that every business owners should possess. Databases are not just a set of columns and rows that could organize or store information and provide solutions to your business needs. They are more than that if you will look at it further. No matter what sort of business you are managing, you will surely have the need to hire someone who can administer everything concerning your invoices, product orders and some other business reports. You wouldn’t want to waste your time collecting customer’s information and filling the forms up one-by-one in your database right? It’s tough to keep track of your daily business reports manually that’s why having a custom database can bring wonders to your business. Looking for the best and efficient custom database solutions to meet your business and software needs might be tough because it’s one of the fractions that will build your business. In addition, having a custom database system can assist you in making business reports. Providing invoices will become easy when you have a custom database incorporated in your business. You do not have to collect and write every detail they have for the reason that when you have a custom database solution in your system, it is already prefilled in. You can generate their invoices right away. Furthermore, you won’t need to drag your feet throughout your documents and paper works to look out for other customers enquiries when needed because they are all set on your fingertips. 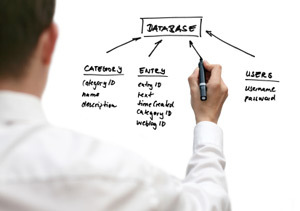 Having custom database can surely give ease and convenience to your business. But still, your business success depends upon the team who will provide and integrate the custom database for you. BMC Solutions builds professional custom database solutions to help you keep track of every aspect of invoicing, quoting, product orders and many other related business reports. BMC Solutions can help you make the most out of your invoice dealings with ease and convenience enabling you to generate good sales reports. No matter what your business requires on invoicing, quoting and product order managements, we can put it up for you! You don’t have to to be familiar with what you necessitate to your business because our team will analyse it for you. We desire that your online business run as efficient as possible! Visit http://www.bmcsolutions.com.au for more information.